Come Dance With Me at the Garfield Jazz Gala! The 2017 27th annual Garfield Jazz Gala theme is Come Dance with Me..
Dear Families and Friends of Garfield High School the Garfield Jazz Foundation Annual Gala Event is right around the corner! Tickets go on Sale Wednesday, March 29, 2017 - See you there! Join the Garfield Jazz Band at Winterfest this Saturday! 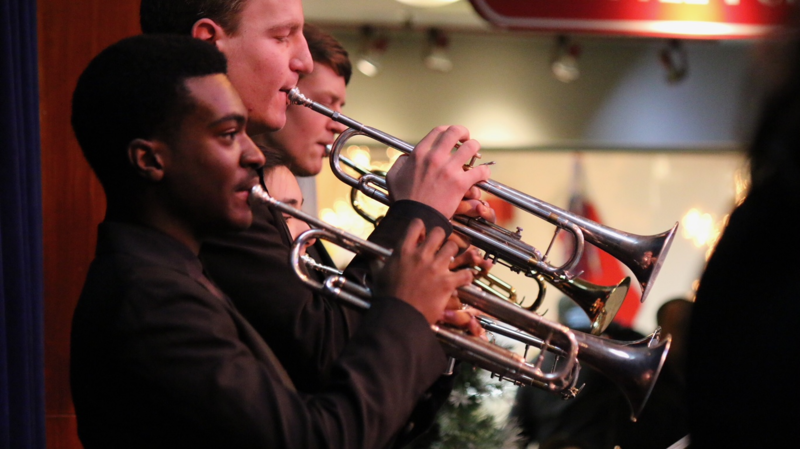 Come out to Winterfest at the Seattle Center Armory (formerly Centerhouse) and celebrate the season with Garfield Jazz Band #1. 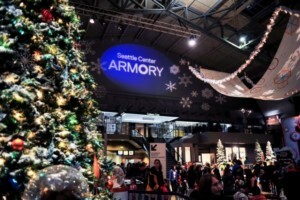 They will be playing on the Armory stage on Saturday, December 10th from 12:30 to 1:30pm. Grab some lunch at the Armory restaurants, enjoy the model train village and get in the holiday spirit with Jazz band #1! Free Kick-off Concert on November 17th! Dear Families and Friends of Garfield High School: Please join us as the Garfield High School Jazz program opens the 2016-17 season with a FREE kick-off concert on Thursday, November 17th, 2016. Curtain time is at 7:30 pm in the Quincy Jones Auditorium, located at 400 23rd Ave. on the Garfield campus. 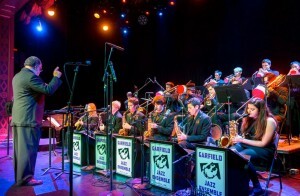 The evening will feature fantastic music by Garfield Jazz Ensemble 1 under the direction of Clarence Acox. As always, we will have bake sale goodies and Garfield Jazz merchandise for sale in the foyer. See you there! Register for the Garfield Jazz Gala! Be part of the outstanding community supporting excellence in the arts at Garfield, and enjoy an evening of joy with fine food, fabulous company, and outstanding music! Sure to sell out, only a few tickets left for the one of the hottest performances of Jazz in Seattle this year, at the Paramount Theater! All of the proceeds for tickets purchased on this site benefit Garfield Jazz, and we appreciate your support. Come listen to Band III (9:55AM) and Band II (2:45PM) at the Kamiak Jazz Invitational on March 26 at Kamiak High School. Visit Mukelteo and enjoy some fabulous Garfield Jazz music, listen to the musicians that make our program such a success!